KHARTOUM – Thousands of demonstrators across Sudan have taken part in what appears to be the biggest series of rallies against President Omar al-Bashir since protests began in December last year. Security forces used tear gas and made several arrests, reports BBC news agency. The rallies mark the 34th anniversary of the coup that overthrew the regime of former President Jaafar Nimeiri. So far, the army has not intervened in the protests. Demonstrators remained outside the compound in the evening after authorities pulled back, as organisers reportedly called on protesters to hold a sit-in to keep up the pressure. Some reportedly vowed to stay until President Bashir resigned. Sudan’s information minister meanwhile reaffirmed the government’s plan to resolve the crisis through talks and praised the security forces. 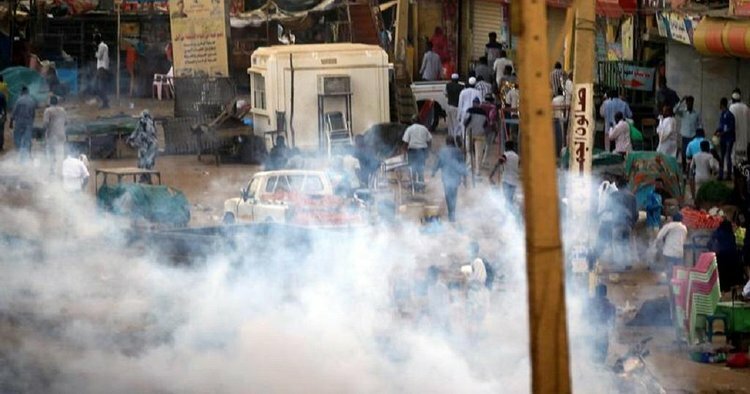 Police told the state news service Suna that one civilian – who protest organisers reportedly said was a medic – had died in Khartoum’s sister city Omdurman. Civilians and officers were also reportedly wounded. Journalist Mohamed Ali Fazari, who was at the scene in Khartoum, told BBC that protesters were urging the army to side with the people against the government.